Improved quality durable rollup. Increased stability due to thick aluminium base and zinc alloy feet. 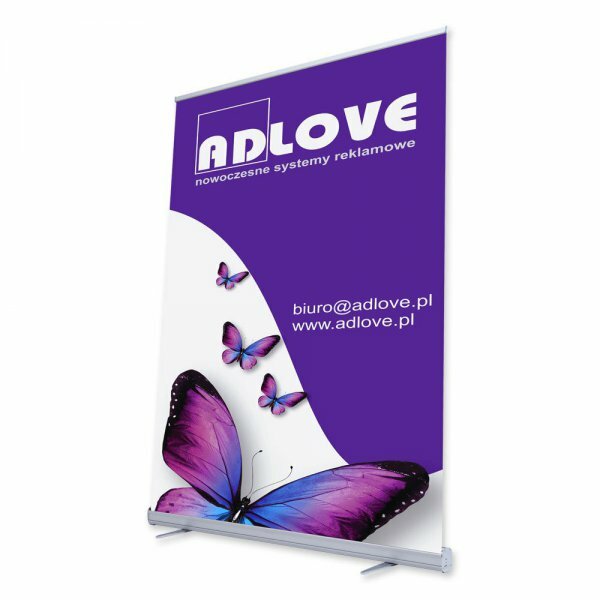 Specialy designed for wider sizes. Transport bag with extra protection layer included. 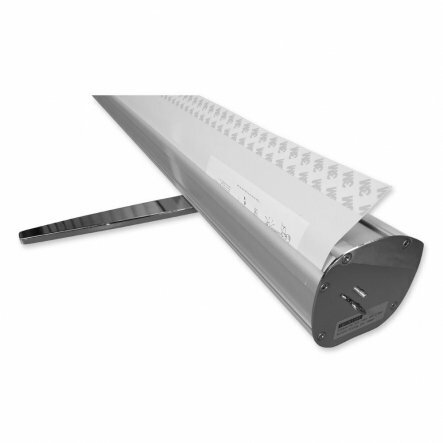 Rollup Maxi is a great solution for wider printings, which require more robust design. The cassette is made of thick and rigid aluminum, both of which increase the stability and resistance to damage, extra stability achieved by feet made of hard zinc alloy. The upper strip is attached to two rods by metal hooks. The bag has a stiffening insert giving additional security to rollup. Available in sizes: 200x200cm and 240x200cm.